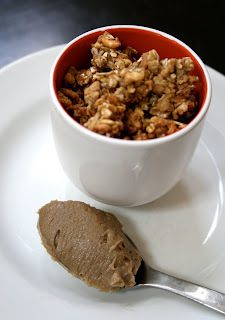 I have really been getting into making my own nut/seed butters lately. Since I can't have soy now (and I am a vegetarian that can't have dairy), coming up with different foods to get more protein into my diet has been a little tricky. I have really been doing some research on the specific nutrients different foods have. The illustrator is a huge fan of sunflower seeds. They are the perfect road food for him. So when we were at Trader Joe's one day and they had a really good price on raw sunflower seeds, we grabbed a bag to play around with. 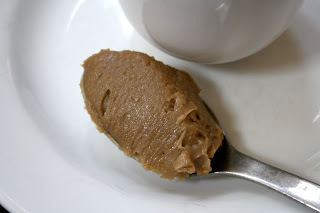 After loving the way the pecan butter turned out, I thought it would be fun to try out some sunflower seed butter. I have seen jars of this at the store, but it's really way out of my budget. So, I set out to make my own! I have said this before, but I eat with a purpose. I want to know what this is going to do for me before I eat it! These little babies are loaded with magnesium (bones and energy), vitamin E (cardiovascular system) and vitamin B1. If you want to check out more about this little powerhouse...check out this link. In a nonstick frying pan, toast the sunflower seeds. Do not leave them - you don't want them to burn you just want to toast them up a little. Allow to cool for about 10 minutes. Next, place the rest of the ingredients in a food processor and blend until smooth. Store in the refrigerator. 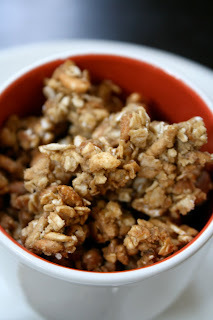 I used the rest to make some sunflower seed butter granola! As always, this looks wonderful! I'm hoping to give this a try in the next couple of weeks, once I get some time off work!